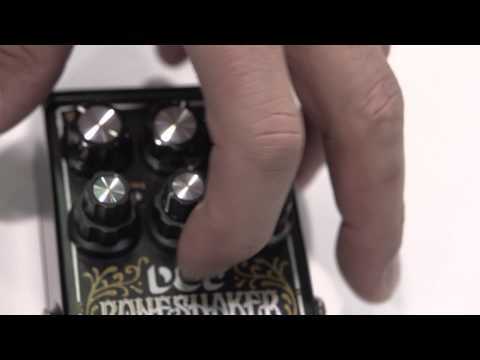 A distortion pedal like no other, the Boneshaker is supercharged with a 3-band parametric EQ that drives its gain to add more frequency-specific, bowel-churning lows, more bare-knuckle mids and more responsive highs. Basically, more of everything! 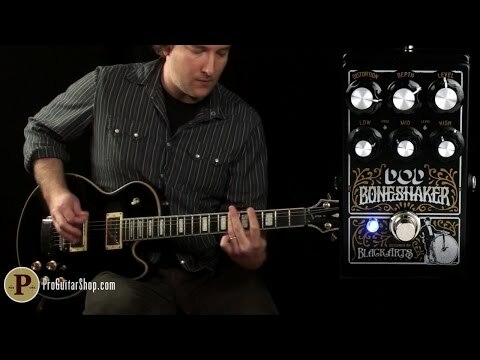 Black Arts Toneworks designed the Boneshaker’s circuit specifically for extended-range guitars, baritone and bass - anything heavy, loud and low. Stacked, solo, into dirty or clean channel, the Boneshaker will shake you to your core. The Boneshaker is true bypass, which allows your guitar tone to remain pristine even when the it is off and the power supply input makes it pedalboard friendly. Buy Now: https://goo.gl/tGbS6Z The new DOD Boneshaker distortion is a collaboration between DOD and the mad scientists at Black Arts Toneworks. Its robust voice has been dialed in specifically for drop-tuned guitars, extended range instruments, baritone guitar, and bass, so it packs monolithic low-end power to supplement its extreme definition and clarity. In addition to the usual distortion and level controls, the Boneshaker is possessed of a Depth control that governs overall low frequency content, and most impressively, a 3-band parametric equalizer for comprehensive tone-shaping, from broad, sweeping cutting and boosting to the most surgically precise frequency alterations. This allows the Boneshaker to go places no other distortion can go, and makes it ideal for the tone-tweaking perfectionist. The DOD Boneshaker operates on industry standard 9V DC power and features true bypass switching to keep your clean tone unaffected. Guitar World stops by the Digitech booth to check out some new gear at the 2015 Winter NAMM show!